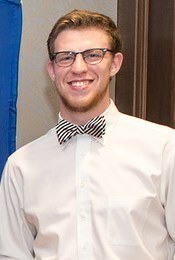 Tyler Hadden, a mathematics major and Belmont senior, passed the Actuarial Exam P/1 this summer. This is the first in a series of nine exams which are required for full status as an actuary. The exam has a pass rate of less than 50 percent. Actuaries work in the insurance and financial sectors and specialize in analyzing the financial impact of risk and uncertainty.